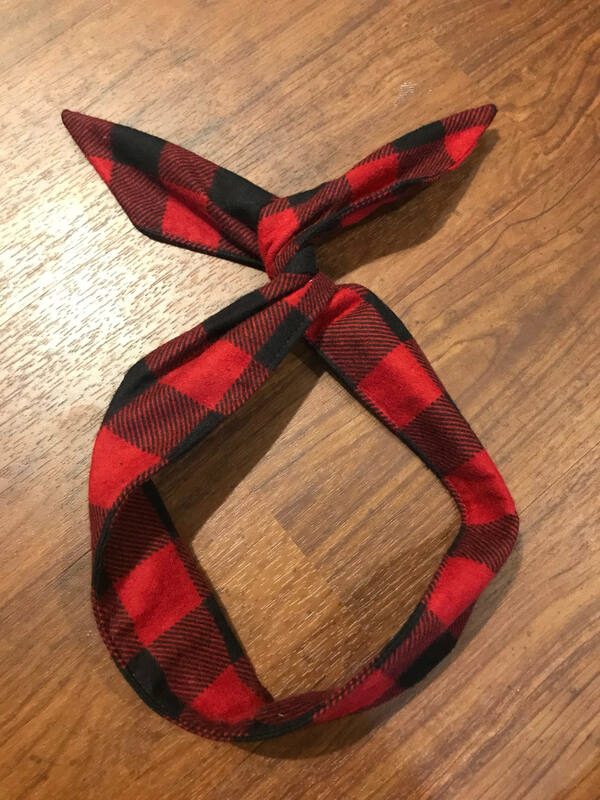 Red and Black Buffalo Check wire twist headband. Super soft to the touch. Molds gently to any size head, so no headbands headaches. So many ways to wear them!! Twist the ends into a rosette or "bow" or tuck them away. You can even wear the twist in the back. The possibilities are endless! SOOO CUTE!! Can’t wait to wear this one! LOVE IT! bring on the polkadots!! This is a cute item, but it is a little small for my head. I wish that it was longer so that I had more material to work with when I tie it. Maybe I have a giant head, but it is difficult to tie in the back. The item description did say one size fits all, so that is why I am not giving this 5 stars. I am not sure if I will be able to wear it. However, these headbands would be great for kids. Update- I really appreciate that the shop owner offered to make me a new headband in a longer length after she read my review.